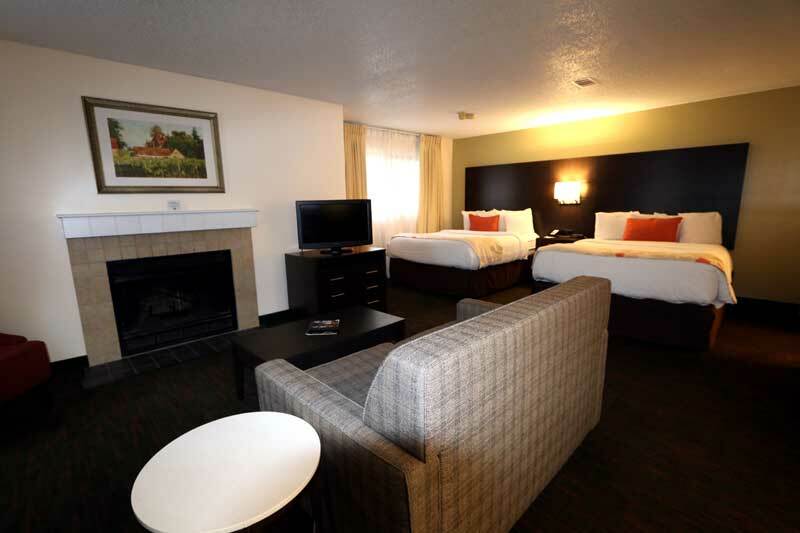 For your extended stays of a week or more, or even just for a night or two, the Fairbridge Inn and Suites- Akron is a great choice when you're looking for hotels in Akron, Ohio. 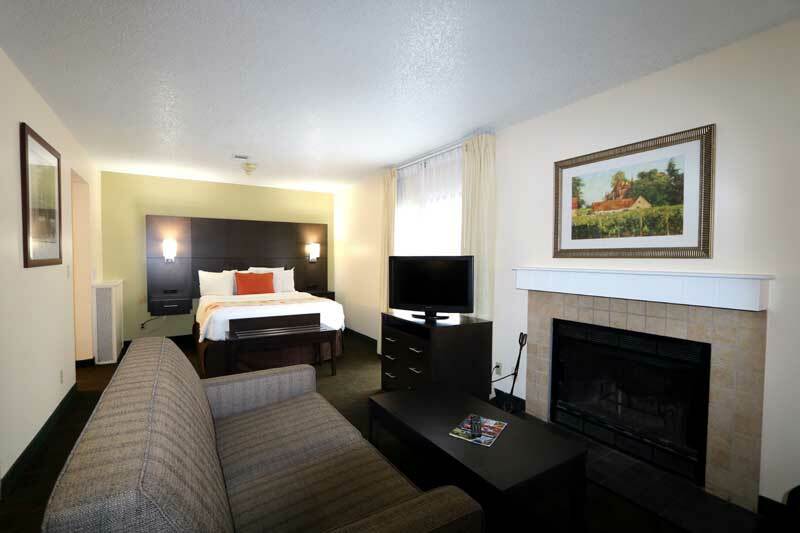 Overlooking the city of Fairlawn, the hotel puts you conveniently close to the Montrose shopping area and within walking distance of many restaurants and a short drive to local malls. 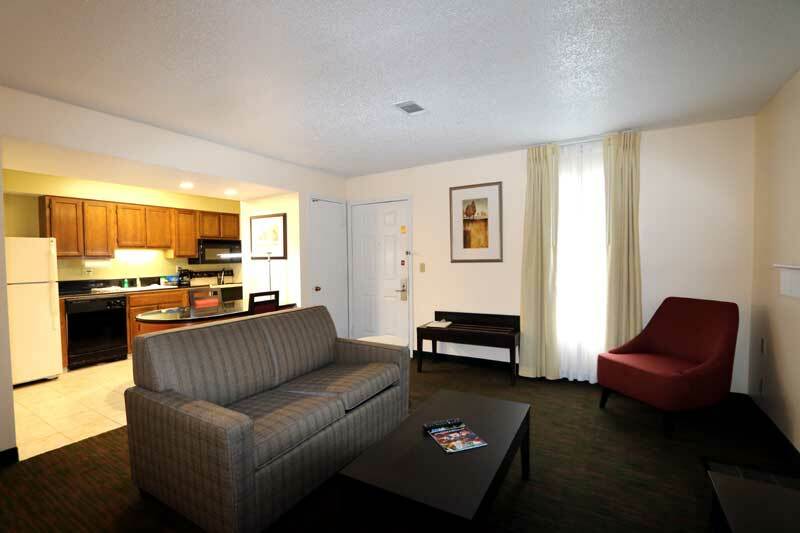 Our versatile suites have everything you need to live and work comfortably, including free high-speed Internet access and a kitchen equipped with everything to prepare a home-cooked meal. 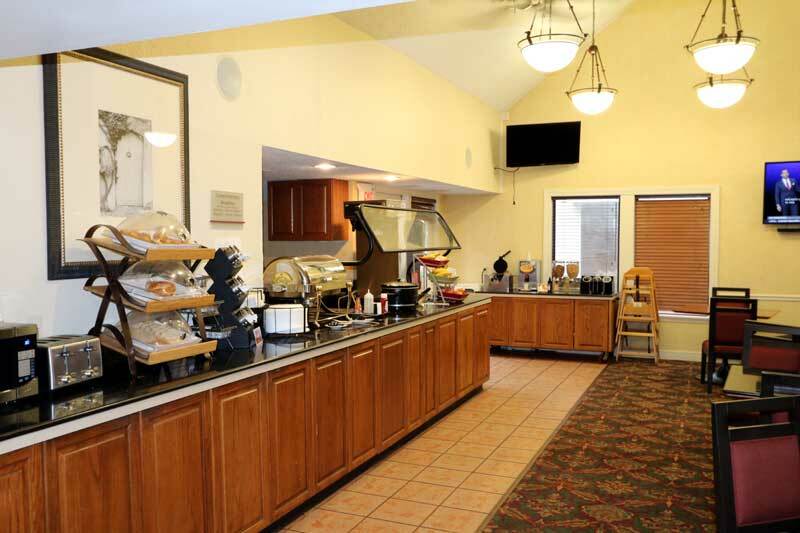 Sleep soundly, then wake up to start your day with our complimentary breakfast buffet. 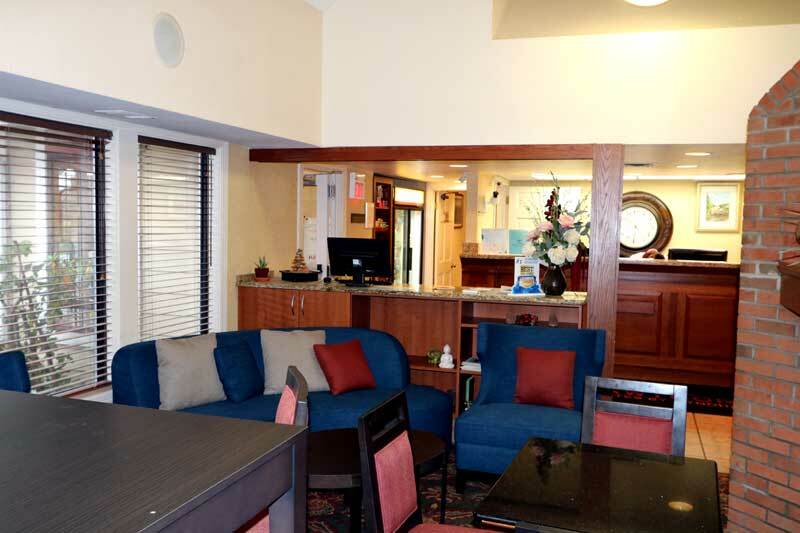 At the end of the day, we have plenty of ways to help you unwind, including a well-equipped exercise room and outdoor swimming pool, and our weekday Manager's Reception. 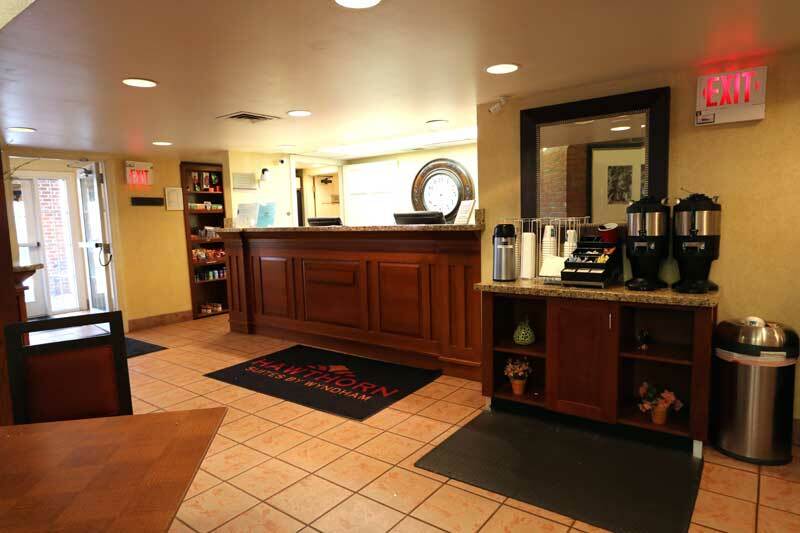 You can always count on the Fairbridge Inn and Suites Akron's warm and attentive staff, available 24/7, to make you feel right at home. Transportation To and From Hotel Akron/Canton( CAK) Distance: 23.0 MI/37.01 KM SOUTH to Hotel Take i-77 N to exit 137 A. The hotel is immediately on the left when exiting the high way. Cleveland Hopkins ( CLE) Distance: 28.0 MI/45.06 KM NORTH to Hotel Take i-71 south to exit 218. Turn left onto Medina Rd proceed 8 miles, hotel is on the left. Activities : The 33.5-mile Bike & Hike Trail was one of the first "rails to trails" conversions in the country. It follows the course of the old Akron, Bedford & Cleveland (ABC) Railroad, which was the longest electric railroad of its kind when it was built in 1895. Until service was discontinued in 1932, riders could travel for 50 cents from Akron to Cleveland's Public Square in about 2.5 hours. Airport : There are four parking lot options at the Akron-Canton Airport. All parking lots are handicap accessible and complimentary door-to-door shuttle service is provided from the long term and economy lots. Attractions : Akron Art MuseumThe Akron Art Museum houses collections spanning from 1850 to the present day, a period that reflects the founding and growth of the City of Akron. To meet the increasing public interest in the museum's programs and exhibitions, the museum commissioned the first public building in the United States designed by the internationally celebrated architecture firm, COOP HIMMELB(L)AU. Business : Today, Goodyear measures sales of nearly $20 billion, but we began in a converted strawboard factory in Ohio. Leading our industry for over one hundred years, we've accomplished many firsts that reflect our drive, skill, and total commitment to our ideals and industry. See the evolution of Goodyear history and tire history below. Dining : Pub Bricco opened in November of 2009 in Akron's Merriman Valley. While the menu focus is on gourmet hamburgers, you'll also find some of your favorite Bricco appetizers, salads and adult beverages served in a Pub atmosphere. 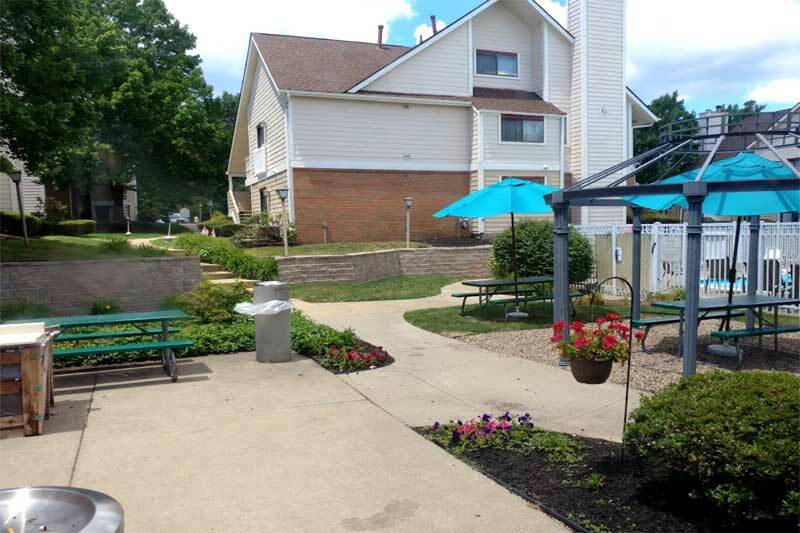 We are conveniently located near the Weathervane Playhouse and The Cuyahoga Valley Park System and are just a short drive to Blossom Music Center. Golf : Situated on the outskirts of Akron, Firestone Country Club has the finest 54 holes of golf of any private club in the country. Create the ultimate golf experience with challenging courses and weekend getaways. Government : Akron City Council is the legislative body that creates ordinances, or local laws, and resolutions that guide city government. The Mayor and his cabinet implement and administer laws and policies based upon City Council's ordinances and resolutions. Hospitals : Akron General Health System brings together a network of health care facilities and staff with a rich heritage of exceptional care. Akron General Health System has been a member of VHA since 1982. Our mission is to improve the health and lives of the people and the communities we serve. Shopping : Whether you're looking for a mall or a specialty food store, Akron and Summit County have something for you. Read here for more information on stores in and around Akron. Sports : Northeastern Ohio is home to great baseball. The Akron Aeros, Class AA Affiliate of the Cleveland Indians, play in Canal Park Stadium in Downtown Akron. Casinos : A true Vegas experience with an Ohio address! Gaming, dining and entertainment all in one VLT! Amp up your thrills and bills with ROCK$INO RICHE$! Play it ONLY at Hard Rock Rocksino Northfield Park! University : Here you will find excellence in the breadth and quality of our 300 academic degree programs, and in the highly talented faculty who will help mold you into a critical thinker. Here you will find a metropolitan setting that places you in the heart of a dynamic, regional economy, and in sync with the pulse of business, government and the community. Most important, here you will discover energy, in the high-tech classrooms of our new academic buildings, in our new Student Union and Student Recreation and Wellness Center, and among the 200 student organizations on campus. 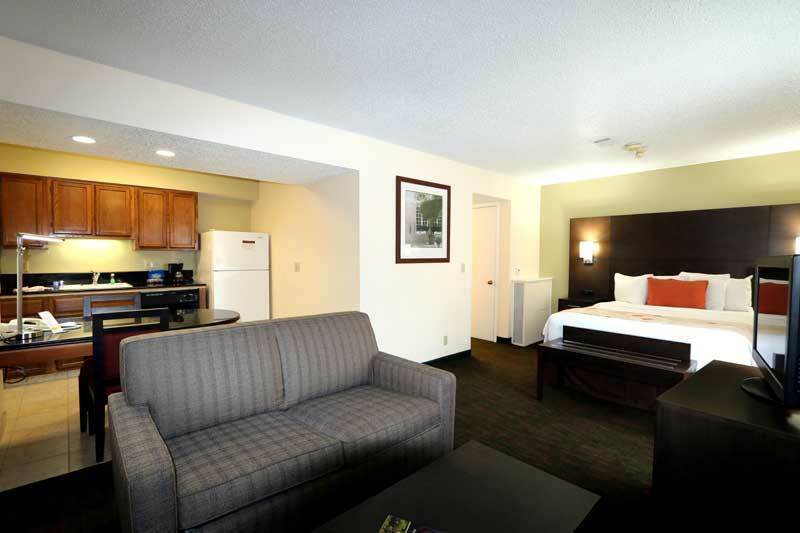 Welcome to our great hotel in Akron Ohio with affordable rates and cheap budget discount lodging. 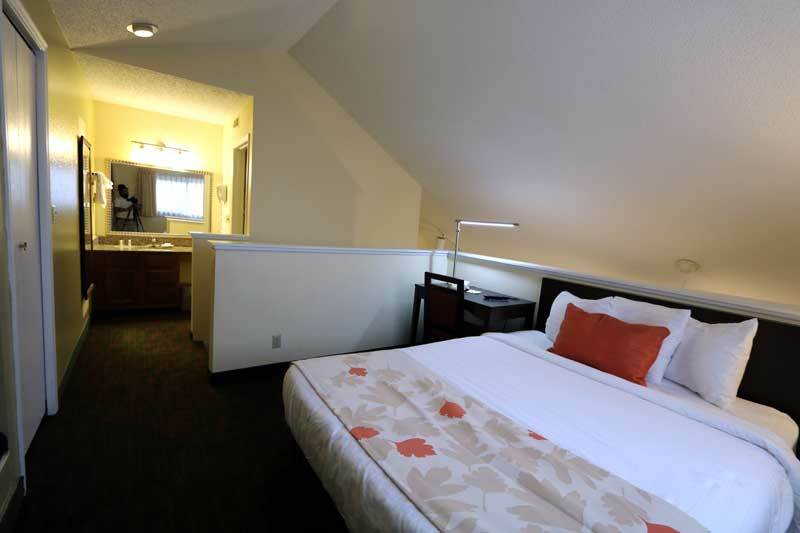 Fairbridge Inn and Suites West welcomes you to our budget hotel in Akron Ohio. 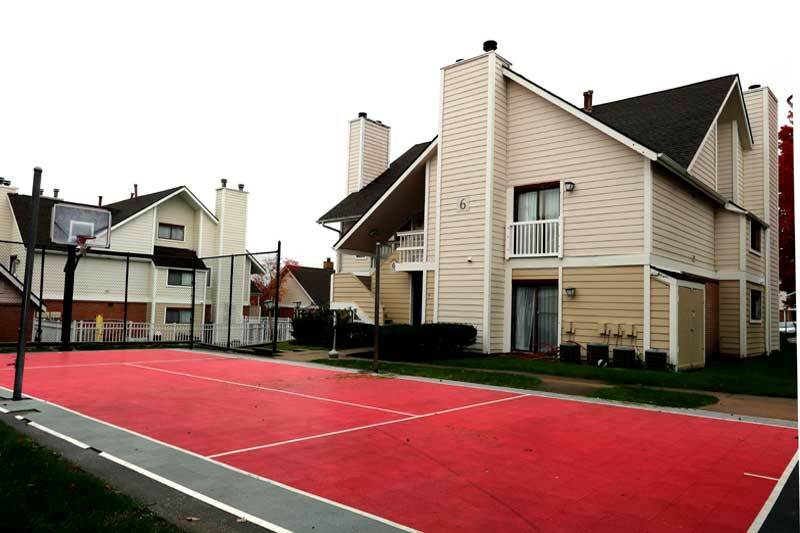 Fairbridge Inn and Suites West will provide you excellent customer service with great amenities in comparison to all Hotels and Motels in Akron Ohio. 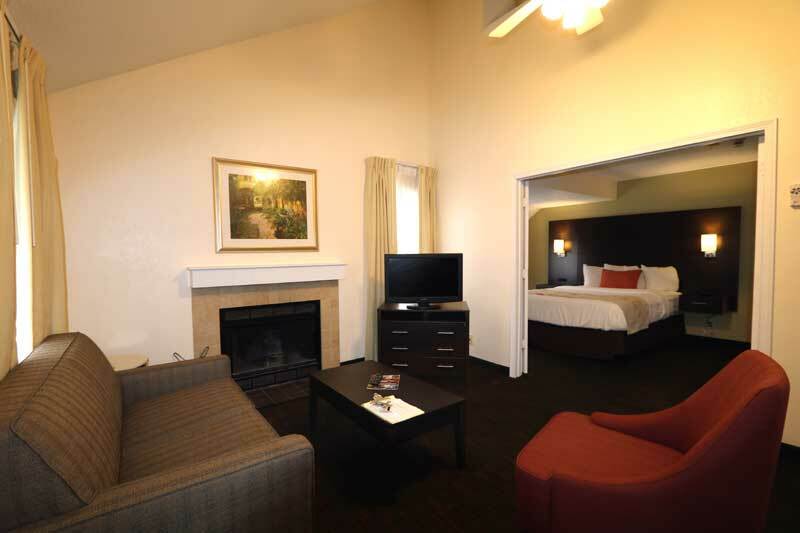 Please visit us on your next stay in Akron Ohio and let us provide you with 4 star hospitality for 2 to 3 star budget rates. 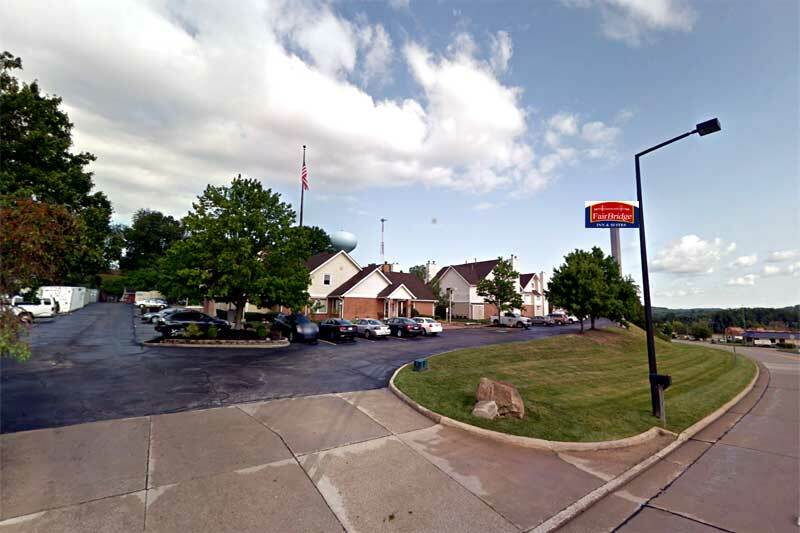 Fairbridge Inn and Suites West has been providing lodging and accommodations in Akron Ohio for several years and looks forward to providing our valued customer and business traveler with the best service in Akron Ohio for Hotels and Motels in our local area.